Still great memorable moment (for me), ITB’s Art Market 2010. Where many works of art by artists of Bandung, in particular, combined in one art event that provides insight, adventure as well as art education for the visitors. Including me. 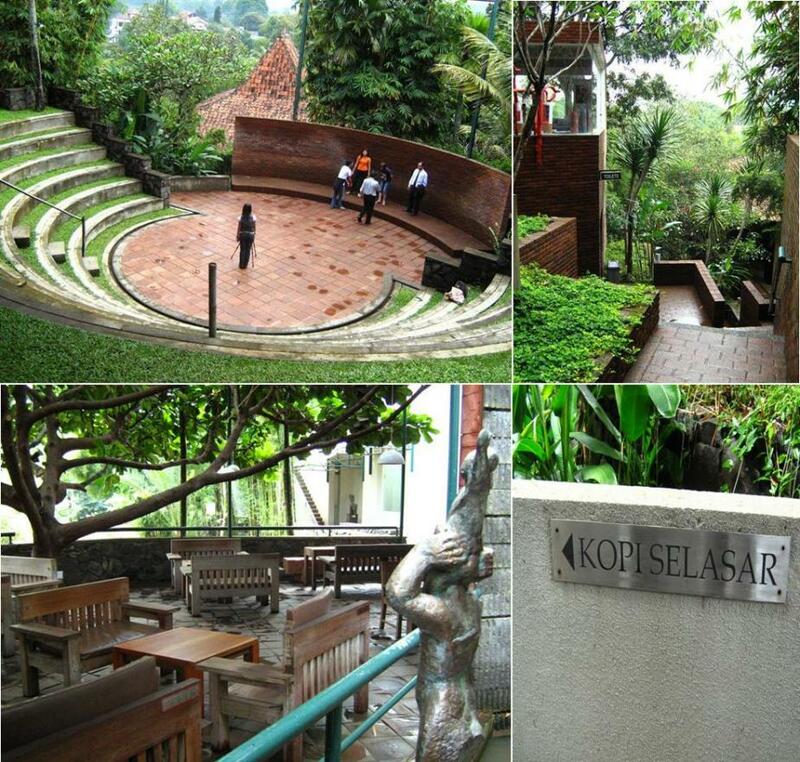 One of the artworks are also on display at the time was one of the works of Bandung’s famous artist, Sunaryo. Along with watching beautiful paintings booth by Mr.Sunaryo that time, my thoughts wander to a few years back, when I have the experience to visit (with a friend) into his gallery, Selasar Sunaryo, at Jl. Bukit Pakar Timur No. 100. Travel there quite a distance, and climbing 🙂 . Yes, for those who want to visit there, you should bring your personal vehicle. Because, as far as I know, there is no public transport through that road. In general, from beginning to enter the front yard I was amazed over the interior design and the results of his works of art. The painting as well as the sculpture. In this gallery I’m getting too impressed, because the results of his work, also interior. Browse the gallery, we finally met with an extensive outdoor area. Stratified. And I see an amphitheater, which was then under renovation at that time. Amazing. We also had pictures taken at that amphitheater. Then we continue the journey to a marquee, then up, to Selasar Cafe. We had time to drink coffee there. Once lush place with trees, so cool (it was pretty oppressive afternoon sun.) In that place we had seen souvenirs on display for sale. We even had time to pray at a small mosque, the interior design is minimalist, but full of touches of art. Exit from Selasar Sunaryo, I brought a lot of good memories. Adventures of the arts that I never forget……. I want to go back there soon…….. 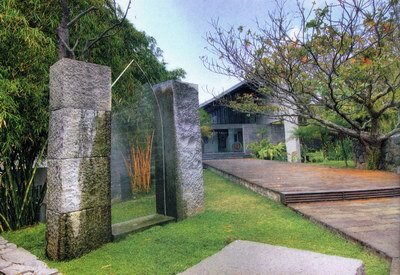 This entry was posted on Thursday, October 14th, 2010 at 10:33 pm	and tagged with amphitheatre, art, artist, gallery, Jl. Bukit Pakar Timur No. 100, painting, sculpture, Selasar Sunaryo, Sunaryo and posted in Foods & Beverages, Places, Souvenirs. You can follow any responses to this entry through the RSS 2.0 feed. « ITB’s Art Market 2010 : THE DAY !